When you have cleared your plot of land, as discussed in starting a vegetable garden it is now time to give some thought as to how you are going to layout your vegetable garden. It always pays off in the long run to decide on a layout that is easy to care for, easy to access, easy to work in and well organiized. 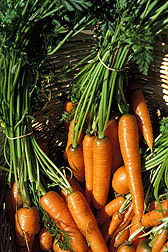 Vegetable gardeners traditionally grew long rows of vegetables in a north to south direction. The thinking behind this was that the sun would shine between the plants and make sure that the plants ripened all over. You can choose any layout you want but remember that ease of access is vital for tending, harvesting and soil care. Your plant beds could be symmetrically laid out in rectangular beds with paths running between them. Your paths could consist of gravel, paving/slabs or even grass, bark mulch, decking. Paths need to be wide enough for a wheelbarrow and give easy access to beds, shed, compost heap, seating area. You could layout some wider main paths with narrower paths coming off those. Sheds and Greenhouses If you have room you might want to have a shed and a greenhouse included in your vegetable garden layout plan. 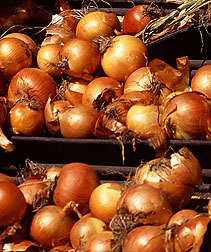 The choice in sheds and greenhouses is vast so it relly depends on your own preferences. many people like to place a seating area near their shed so that they can take a rest and keep an eye on their garden! Windbreaks and Boundaries Depending on your situation you might need to plant some boundaries or windbreaks. Give this some serious thought as there are many advantages other than the obvious. You could plant some fruit bushes e.g. raspberry plants or fruit trees. 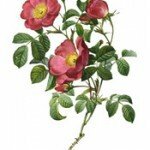 Plant some roses to bring both colour and scent to your vegetable garden. Now that you have a good idea of what you want to grow and where you want to grow them it is time to put the plan into action. 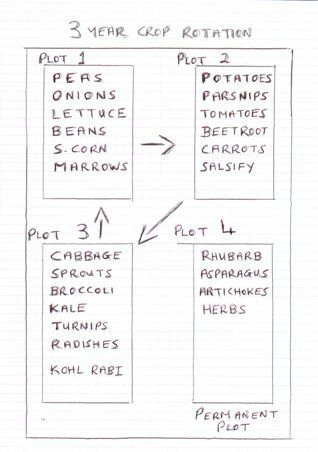 The best way to do this is to draw up a scale plan of your garden. Get some grah paper to make the whole job a lot easier. For trees or structures that you are not removing, color them in on your paper. Now, having considered the issue of access it is time to draw in your beds. 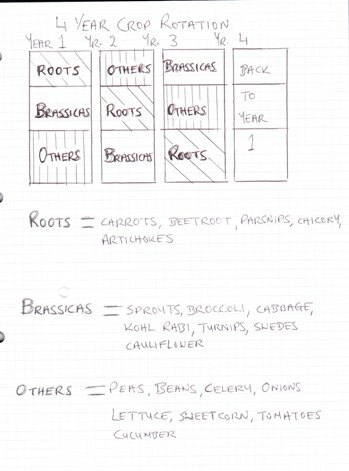 When you have this completed it is time to transfer those dimensions to your vegetable garden. Usin stakes and twine or whatever method suits you to mark out your garden. Generally, you have a few choices regarding your planting arrangements. 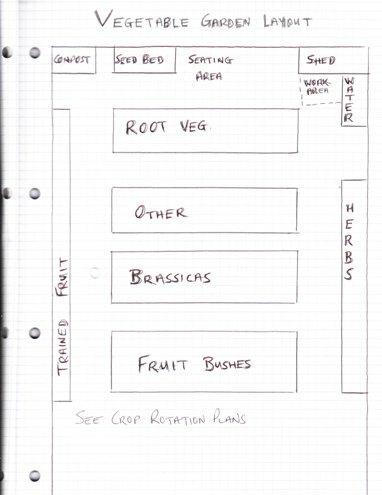 You can go with the ordinary bed system or raised bed vegetable garden. 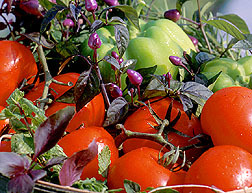 You could also opt for a mix of vegetable plants and ordinary flowering plants in what is known as companion planting.